Dancers at Dance Center Evanston perform a routine. The studio has grown substantially in the past 25 years. 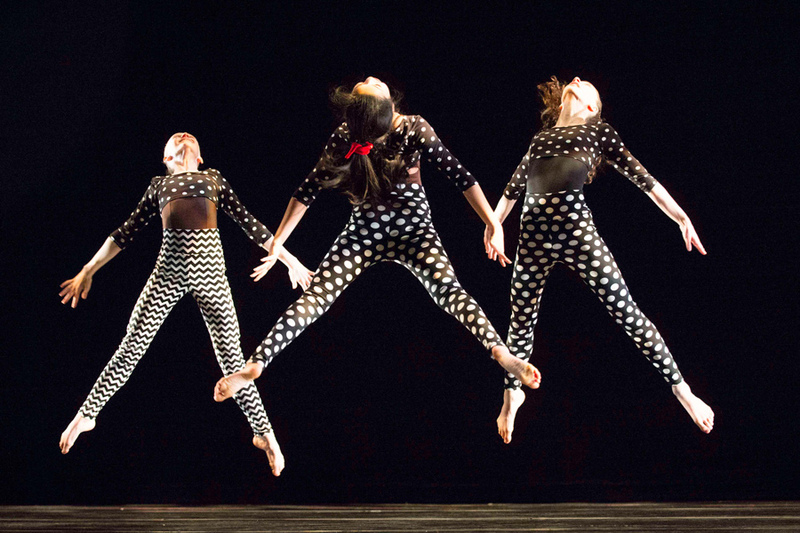 This year, Dance Center Evanston is celebrating its 25th anniversary. Founder Béa Rashid (Communication ’78) has created a community of current and former students that transcends dance, she said. Rashid said she founded the studio after deciding to settle down with her family in Evanston. She was heavily involved with the dance community at Northwestern and said she credits her experiences on campus with helping spark her passion. Dance Center Evanston has grown substantially in the past 25 years, Rashid said. She started her studio in 1994 in a two room building on Davis Street, with just 70 students. Now, the center offers 165 classes a week to over 700 students who are taught by an experienced faculty, she said. In 2004, the organization moved to its current location in west Evanston, at 1934 Dempster St., where they operate five studios, including a theatre to showcase the work of local artists. However, the city’s recently proposed fiscal year 2019 budget may cut arts funding by $175,000. While Dance Center Evanston is a business, its smaller dance company, Evanston Dance Ensemble, a non-profit organization, relies heavily on city funding, Rashid said. Calyn Carbery (Communication ’10), the current managing director of the studio, said she started working in the office of Dance Center Evanston while still studying dance at Northwestern. She added she loves all the aspects of her job as a teacher, a choreographer and an administrator. Carbery said a number of alumni from Dance Center Evanston have gone on to pursue successful careers as professional dancers. This past summer, Dance Center Evanston held a “Alum Pro Intensive” where alumni came back to teach current students, Carbery said. The theatre, Rashid said, also features other forms of art, including a spoken word series and a music series both highlighting local artists. Though 90 percent of her students do not pursue professional dance careers, Rashid said her programs fosters creativity and allows them to see beyond themselves. “(Our students) will grow up to be tomorrow’s artists,” Rashid said.